Slack is a cloud-based team messaging app. 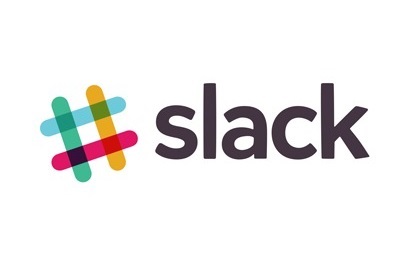 Slack released new update version 2.0.6 for PC. While Slack for Windows Mobile gets update version 2016.517.1617.0. The new update brings many new features to the app, but the most notable feature is new swipe gestures for touch screen Windows 10 PCs. If you’re connected through a proxy server or otherwise require in-browser authentication, you’re in luck. This release will let you login directly from the app. Like a pair of newlyweds, we compared swatches for days and finally decided on new shades for the team sidebar. Light themes, such as Hoth, are much easier on the eyes. As an added bonus, the sidebar now uses the default system font, which we found to be 37% more legible. Speaking of the sidebar, it will now be visible all the time– even when you’re signed into a single team. We think it really ties the room together. A litany of improvements to make navigating channel history more reliable: a new History menu; fixes to the Alt-Left and Alt-Right hotkeys; even navigate using your mouse! (Provided it has the right buttons). As if the history changes weren’t enough, we’ve also added support for swipe gestures for touchscreens (if swiping is a thing you do). Swiping two fingers left or right will cycle through your channel history, and swiping three fingers will cycle through your teams. Blocking some third-party content could prevent our app from loading, leaving you staring– longingly– at our startup screen forever and ever. Losing network no longer takes you to the offline screen. Instead, we’ll keep displaying your messages and try to reconnect in the background. Links in Posts will open in your default browser, not in a new Slack window. Unless of course, it’s a link to another Post. Ingenious! The app window now has a minimum size, to avoid certain squished scenarios that were unpleasant for all involved. Clicking on the desktop shortcut or pinned taskbar icon will resume Slack if left running in your tray. As opposed to doing nothing. An intriguing crash caused by generating code on the fly has been fixed by generating that code much, much earlier. Like, before we give you the app. The Launch app on login preference is 100% more functional on Linux. A confusing bug where dragging a file onto the app would try navigate to it, resulting in inscrutable error messages instead of your team’s messages, should happen much less often. Fingers crossed. Fixed: a bug where a particular users, with a particular set SSO settings (requiring an alternate flow) never could sign in. Which took the SO out of SSO. SO: We fixed it. Fixed: After starting a new DM with two or more members, duplicate group conversations could appear in the channel list, which was confusing. It is now less confusing. Fixed: Slackbot was showing up at the bottom of the channel list instead of, like everywhere else, being the first channel under Direct Messages. We asked Slackbot to stop shifting about willy nilly and stay in one place. Slackbot agreed.